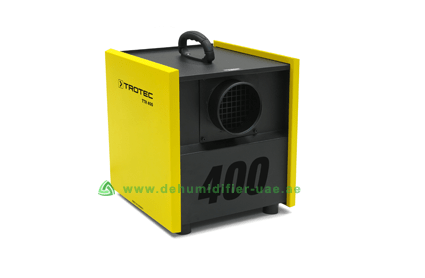 Vacker UAE is one of the major suppliers of Industrial Dehumidifier Dubai in the UAE region. Our products are in high demand in different industries such as tobacco industries, food processing industries, medicine industries, food packaging industries, electronic industries, etc. Our Industrial Dehumidifier Dubai services are also accessible in other cities such as Abu Dhabi, Ajman, Fujairah, Ras al-Khaimah, Sharjah and Umm al-Quwain. The products of industries are stored in warehouses before they are launched into the market. The products can get damaged during storage if the humidity level is not controlled. Also high humidity may affect the items during the production process. The most critical industry which can be affected by high humidity is the medicine industry. Medicine can get easily damaged during production or storage due to high humidity. Food processing industry and food packaging industry are also very sensitive towards humidity. High humidity decreases the life span of food resulting in wastage of food worth millions of dollars every year. High humidity affects other products such as tobacco, fabrics, leather items and electronic items as well. High humidity also decreases the productivity of the workers. Hence, it is very necessary to get rid of high humidity because of its negative impact on people as well as industrial products. Vacker UAE has a group of engineers and professionals who will provide you with expert advice for your high humidity problems. Our professionals will install industrial dehumidifier with the right capability according to the size of the warehouse and its requirement. We also bring the sensitivity of the stored items into consideration while installing our dehumidifiers. We help in providing to you the right kind of electric circuit for the dehumidifier. It can dehumidify a large area of warehouses and industries. It can dehumidify 400 liters of water in a day. It can operate in humid conditions with RH 35% to 100%. It can effectively function in temperature 0 degree Celsius to 40 degree Celsius.